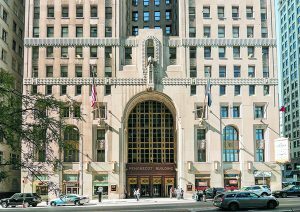 Building is at the heart of a pair of new books about Detroit. 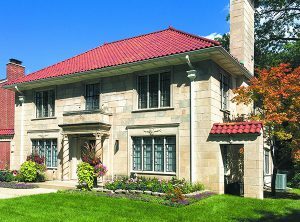 While one covers enduring architecture and the other covers an enduring neighborhood, both reference influences of the Jewish community and are published by the Wayne State University Press — and beautifully illustrated with images both historic and contemporary. 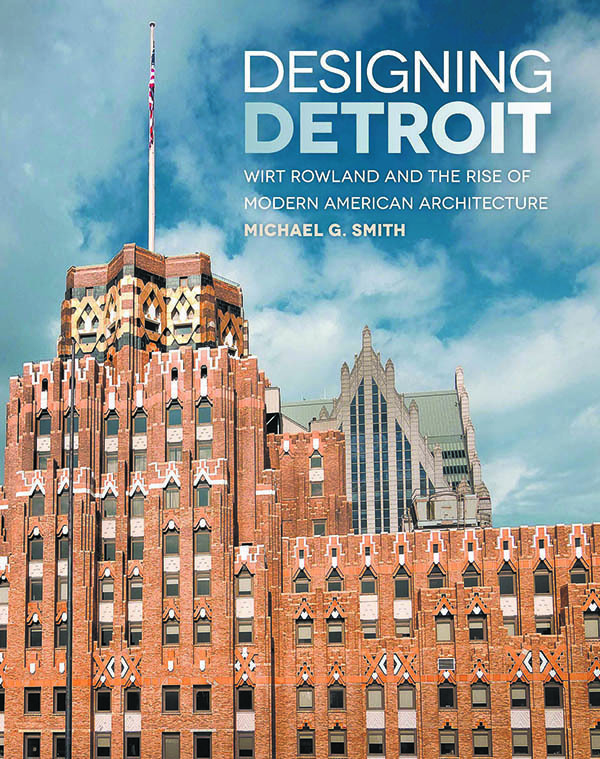 Michael G. Smith, who does research for the redevelopment of older downtown buildings so they can be restored to original conditions, introduces people associated with Jewish architect Albert Kahn in Designing Detroit: Wirt Rowland and the Rise of Modern American Architecture. 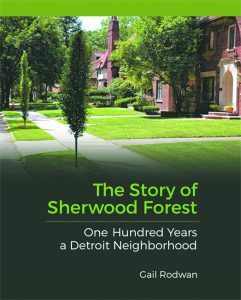 Gail Rodwan, a lawyer and 47-year resident of the area she documents, highlights Jewish residents in The Story of Sherwood Forest: One Hundred Years a Detroit Neighborhood. 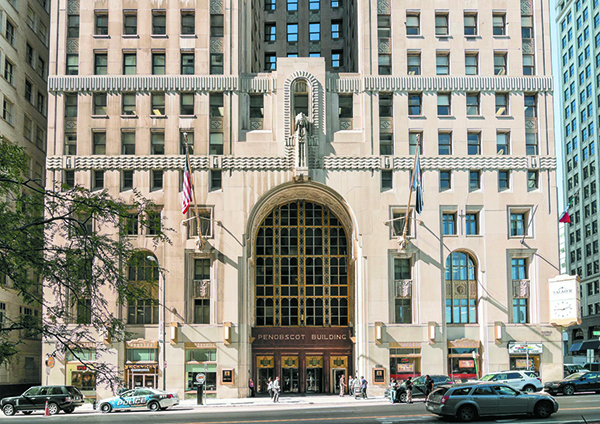 “I wanted to give due attention to a true Michigan hero who has been unrecognized for the work he has done,” says Smith of Rowland, who designed many notable commercial structures, including the General Motors and First National Bank buildings, as Albert Kahn managed business responsibilities. 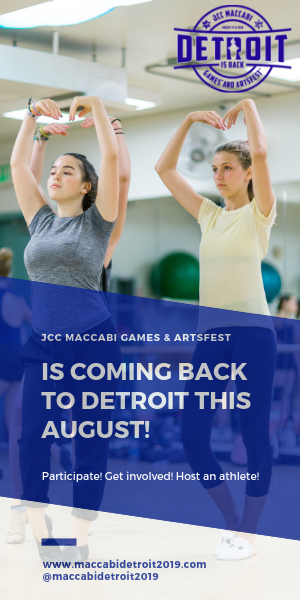 Smith, active with Congregation Shaarey Zedek, was a graphic arts designer and supervisor as well as executive recruiter before doing architectural research based in his Bloomfield Hills home. 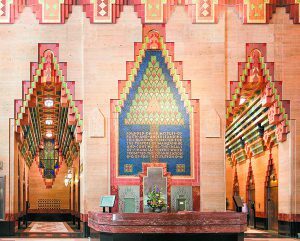 As he learned about Rowland’s contributions to the Detroit skyline, he also learned that the designer enjoyed choir singing and could be heard at Temple Beth El among various houses of worship. “My intent for the book was focused on readers who don’t have an architectural background,” says Smith, who took pictures for his three-year project that grew out of personal research done as his interest in architectural history expanded. 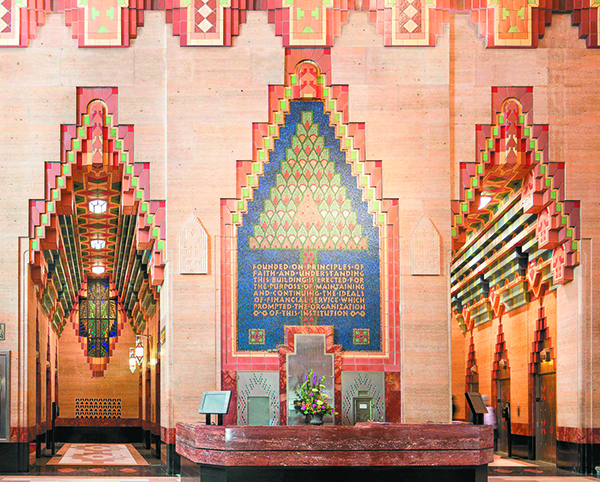 Two other Jewish architects covered by Smith are Robert Finn, who designed the Wurlitzer Building now undergoing rehabilitation by a New York firm to become a 106-room hotel, and Maurice Finkel, who designed the building for the Detroit Free Jewish Burial Association, now the Bibleway Temple for Better Living on Joy Road. In the lobby of the Union Trust Building (now known as the Guardian Building), two elevator alcoves house stained-glass windows. Way north and east of that building is the area of Sherwood Forest, bordered by Seven Mile, Livernois, Pembroke and Parkside, where most homes were built into the idyllic setting in the late 1920s and 1930s. 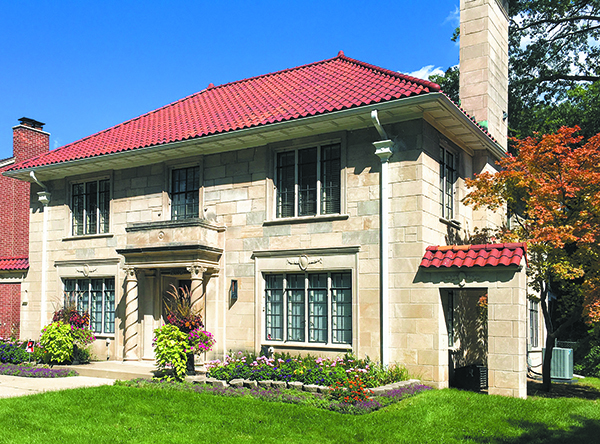 Gail Rodwan delves into its history with the help of documents and pictures found in residents’ attics and basements. Additional pictures were taken by her husband, J. Gordon Rodwan. 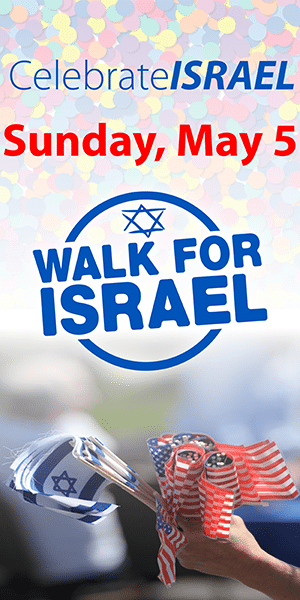 “For decades, Sherwood Forest was a predominantly Jewish community,” says Rodwan, who also has been instrumental in planning a Homecoming Picnic on June 17 and a first-ever Home and Garden Tour on Sept. 9. “Some Jewish families still live here, and those who have moved away continue to express their support. “I was really lucky that people saved newsletters and articles that could be used in tracing the challenges faced by the neighborhood. As we planned for the occasion of our 100-year anniversary, the learning about our own history spurred the writing of the book. As Rodwan referenced Jewish history in Sherwood Forest, she turned to longtime residents Martin and Marcia Baum, who have lived there almost 50 years. “My wife and I decided to move to Sherwood Forest [after living in the suburbs] because we wanted our children to be part of a more realistic urban environment,” says Martin Baum, a lawyer who works out of his home and belongs to Congregation T’chiyah. One of the early book buyers was Ross Bookman, a lawyer who moved to Sherwood Forest in 2014. Long after growing up in Owosso, where he explained Judaism to non-Jewish classmates at holiday times, Bookman lived in the New Center area and then decided he wanted to buy a home. Judy Schneider, another book buyer, lived in Sherwood Forest for almost eight years before seeking an area offering bigger lots. She returns regularly to read to students at Pasteur Elementary School. 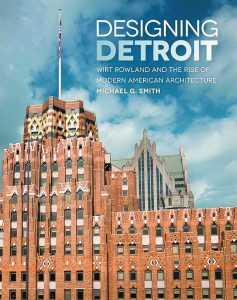 To buy Designing Detroit: Wirt Rowland and the Rise of Modern American Architecture, offered in hard copy and digitally, go to wsupress.wayne.edu, amazon.com or Pure Detroit stores. 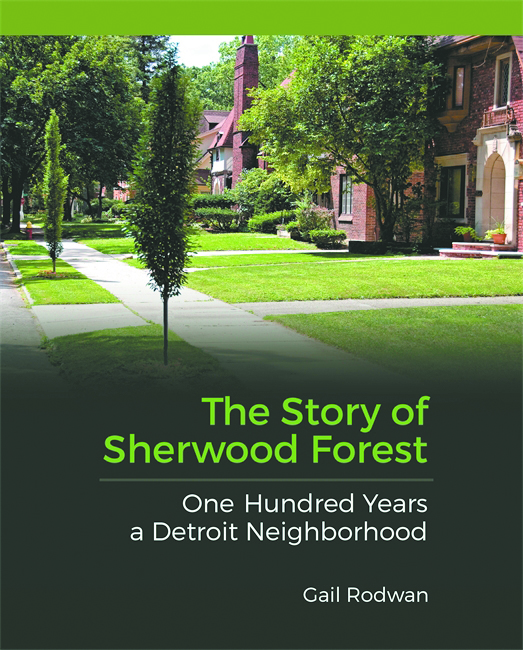 To buy The Story of Sherwood Forest: One Hundred Years a Detroit Neighborhood ($29.95), visit wsupress.wayne.edu or amazon.com. 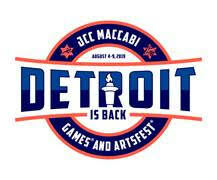 Proceeds support the Sherwood Forest Association in making neighborhood improvements. To attend Homecoming Picnic (4-7 p.m. Saturday, June 17, in Sherwood Park) or the Home and Garden Tour (noon-4 p.m. Saturday, Sept. 9; $20), contact rodwan@sbcglobal.net. So very excited for the opportunity to “come home”!! Never considered Southfield home, altho as i get older i appreciate why my mom no longer wanted a 3 story home plus full basement !